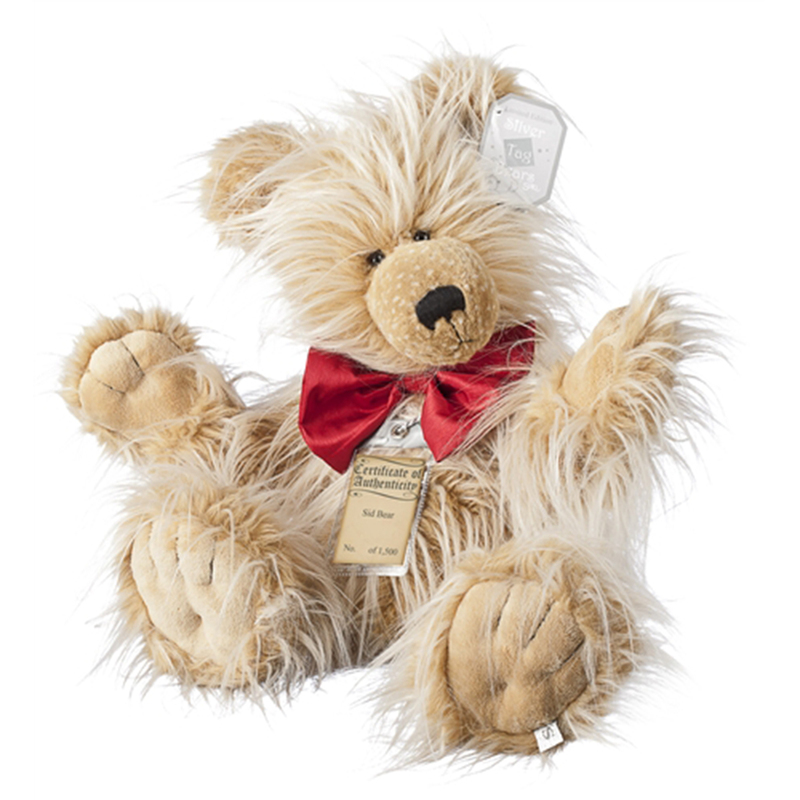 Made of multi-tone Soft-Luxe material, Sid is a combination sandy brown and extra-long pile white plush. 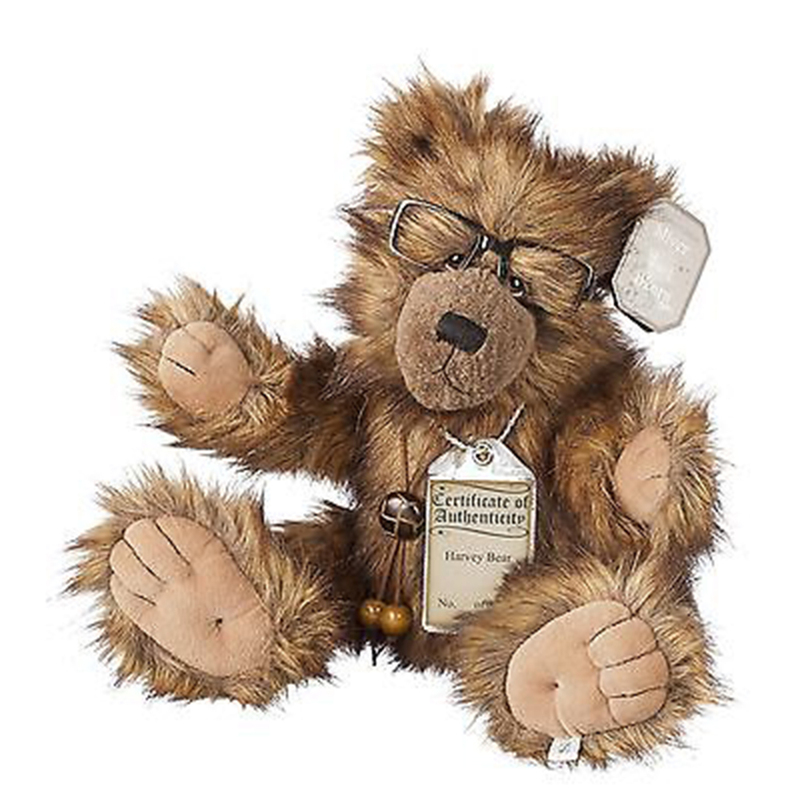 His shaved inner ear, distinctive spotted muzzle and oversized paw pads add to Sid’s character. 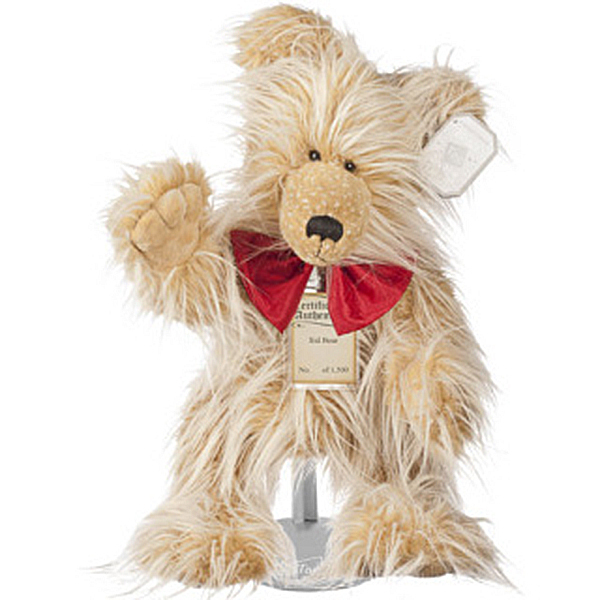 Sid is fully jointed, heavily weighted with beans and wears an oversized rich burgundy taffeta bow tie around his neck. 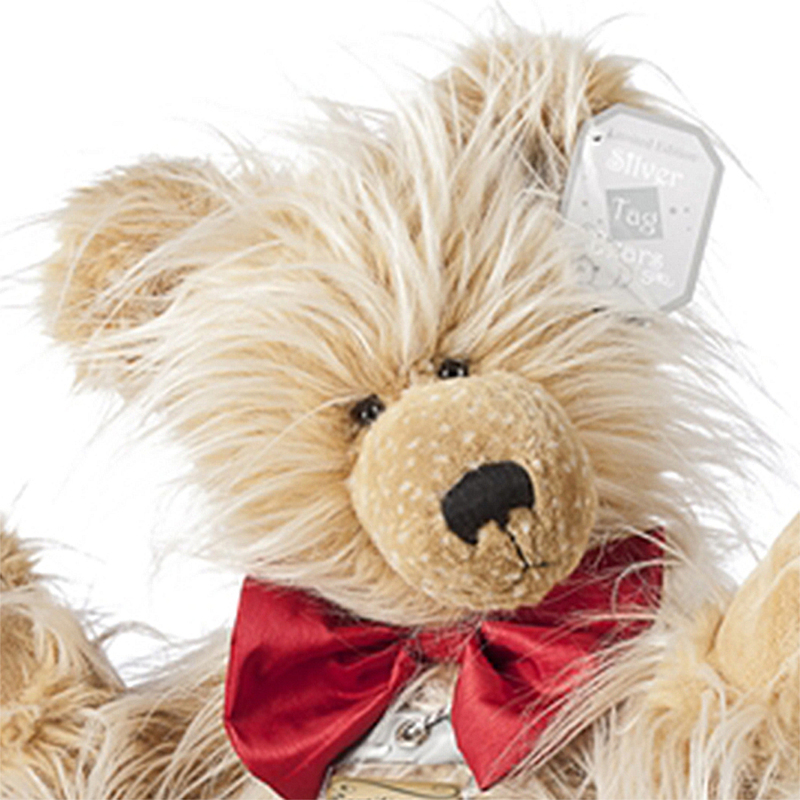 Sid also has embossed finger and toe features. 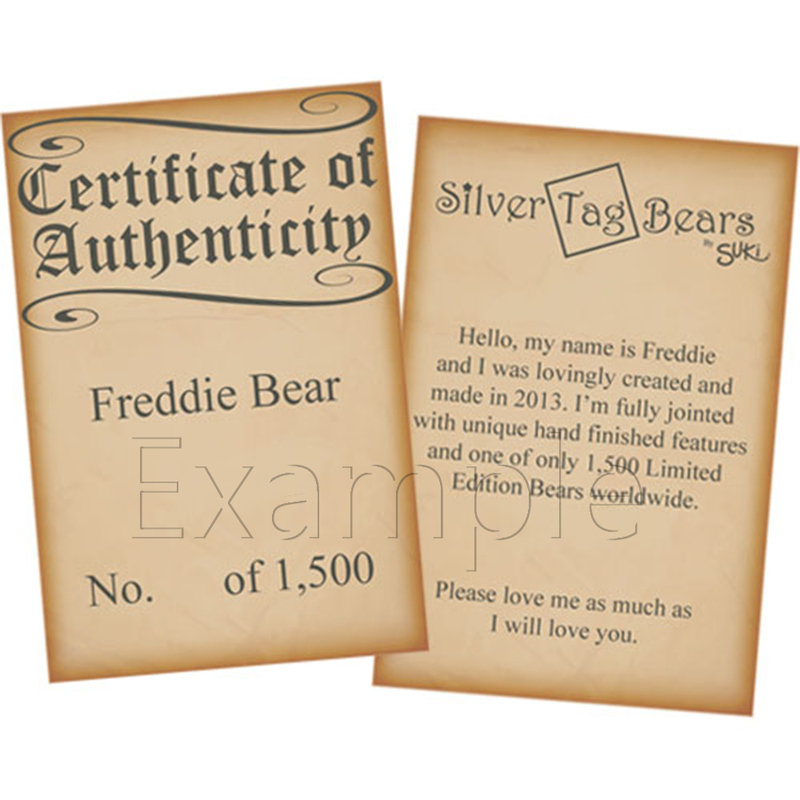 An 8 sided hang tag is attached to his left ear and a unique individual hand numbered tag of authenticity in protective sleeve adorns his neck. 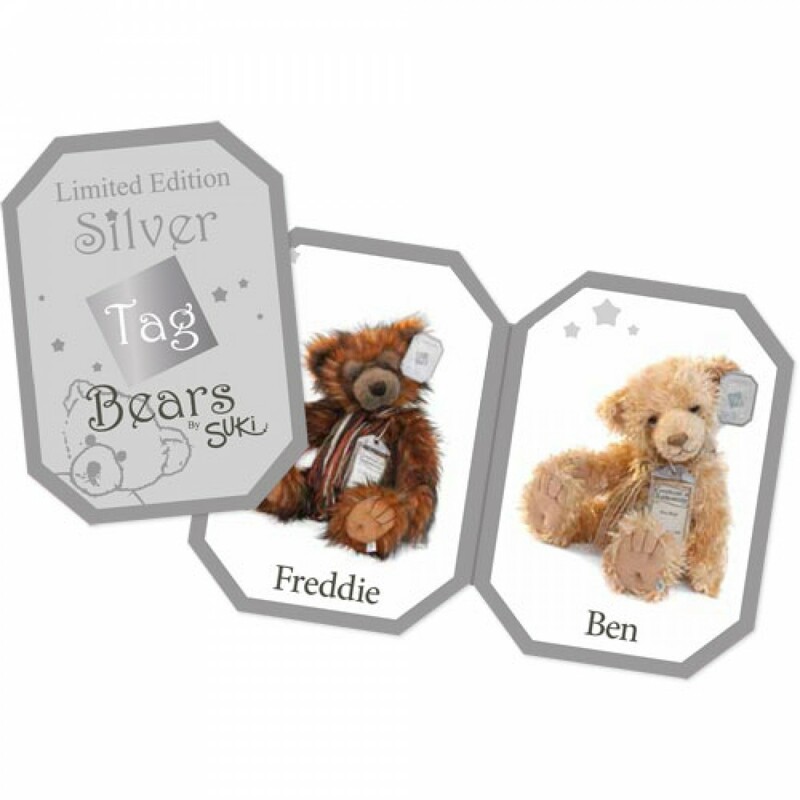 Sid can be recognised as a member of the Silver Tag Bear family by the exclusive silver fabric tag stitched to his left foot pad. 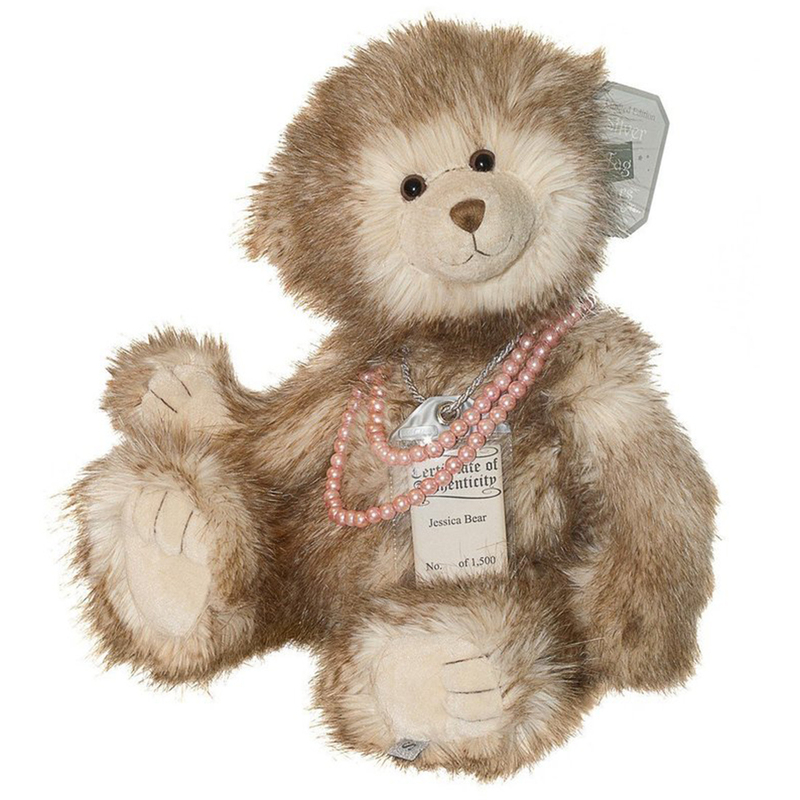 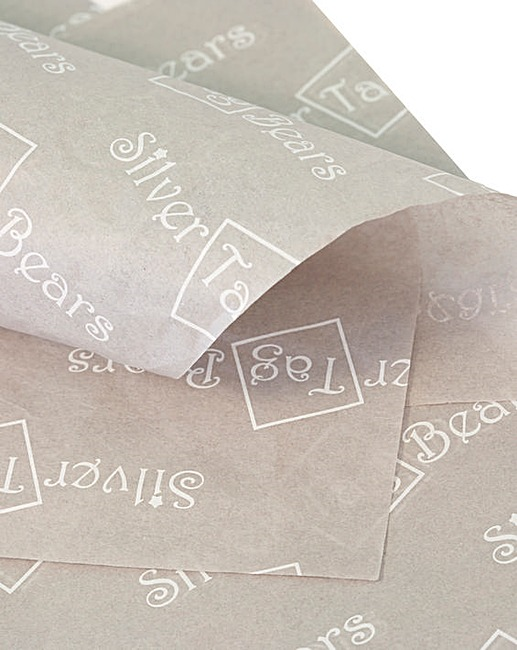 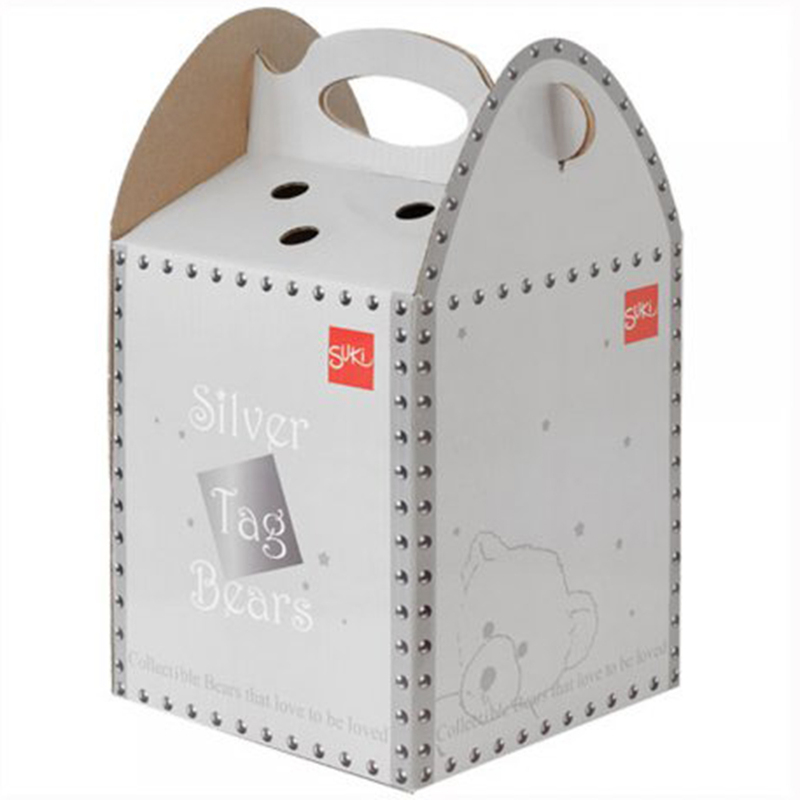 Sid is sold with two sheets of Silver Tag® Bears tissue paper and cardboard carry box. 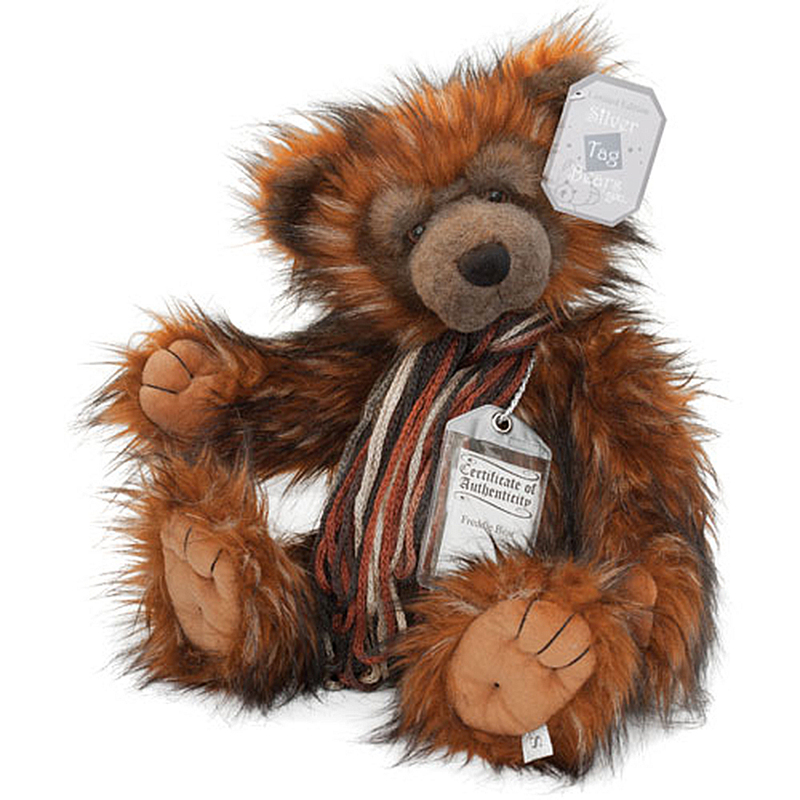 Please note that Sid is a collectors item suitable for 14 years of age and over.